Easy to customize if you are familiar with CSS and HTML. Good looking website also. 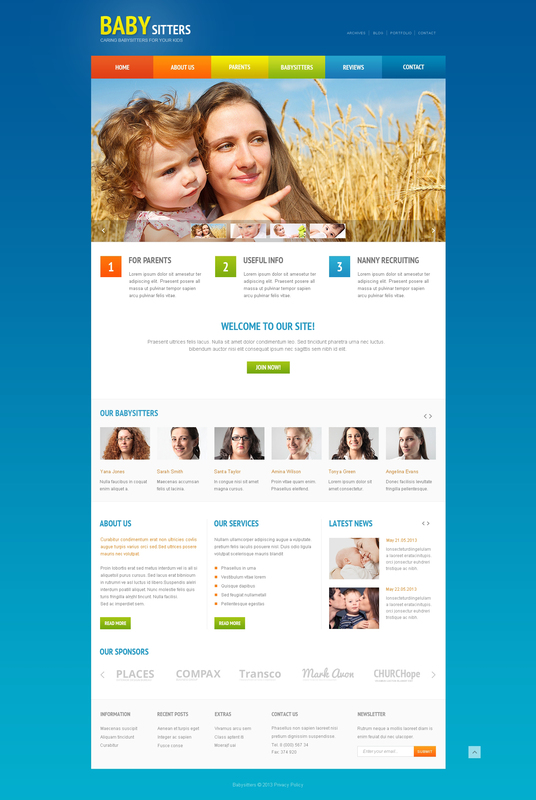 This particular nanny website web template can easily bring some vigor to your web site's look. Making a website for babysitting classes, babysitter courses or babysitter services on the net, remember to make it responsive and usable. Since the theme is SEO friendly and appropriate for current browsers and their most recent versions, internet users will easily find your internet page. The theme is fully responsive which means that more people can easily get to your website from their smartphones and PC tablets since it will automatically adapt to any screen resolution. Your clients will enjoy your site with a smart arrangement of its layout. A friendly customer tech support squad is available round-the-clock 100 % free. Decide on this web theme to develop a stand out online resource that would pull in a lot of unique guests.